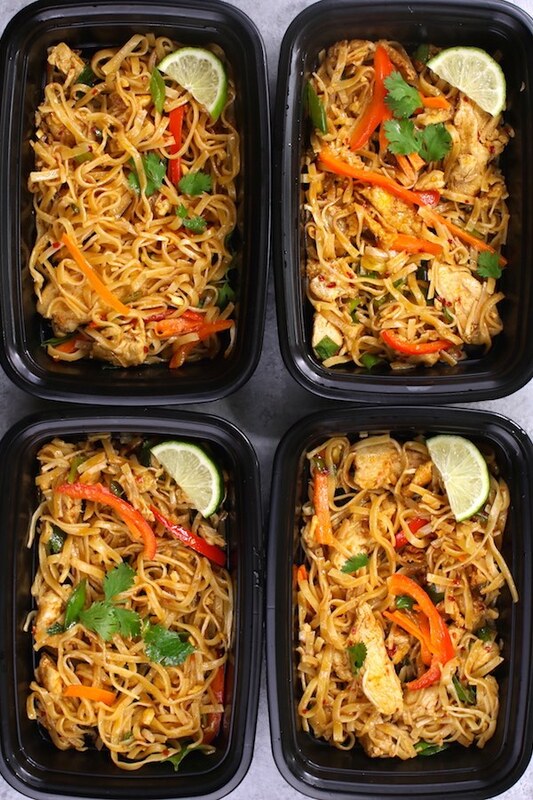 This Chicken Pad Thai Meal Prep is the best way to enjoy delicious pad thai on-the-go. 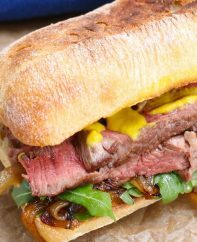 You can take it with you for work or school lunches that last the entire week! It’s healthier, less expensive than restaurant food, and it’s a time-saver too. Plus video tutorial! 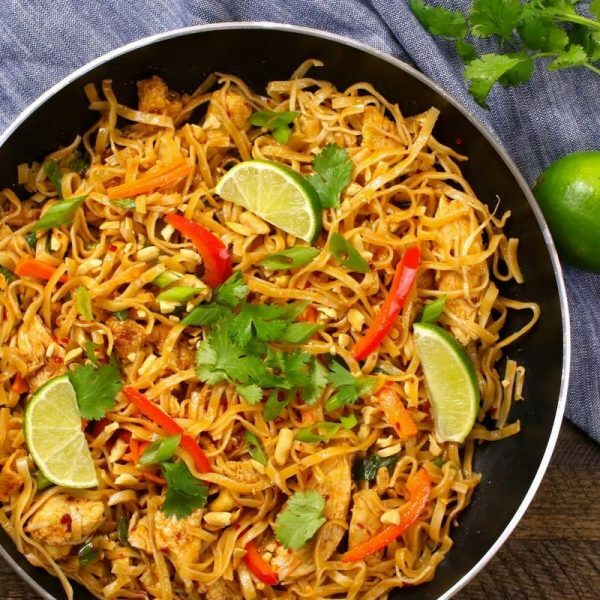 If you love pad thai like we do, then you’re happy to eat it more than once in a week 🙂 We’ve adapted our popular Chicken Pad Thai recipe for meal prep to produce flavorful pad thai on-the-go. The best part, the pad thai flavors improve as each day passes. Throw in a wedge of lime for a burst of fresh flavor before serving, and your colleagues will have serious food envy! Meal prep allows you to have a delicious homemade meal on-the-go. 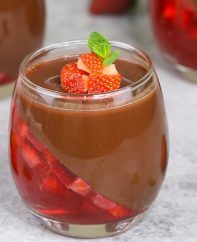 It’s healthier and less expensive than fast food or restaurants, allowing you to stick to your diet and save time especially when schedules get hectic during the week. 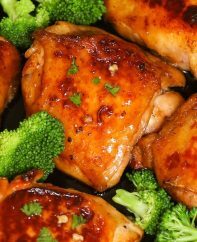 Orange Chicken Meal Prep (30 minutes): Enjoy classic Chinese food with this Orange Chicken Meal Prep that looks and tastes delicious! Lemon Chicken Meal Prep (30 minutes): Lemon Chicken Meal Prep is crispy, lemony and unbelievably delicious and it reheats beautifully. 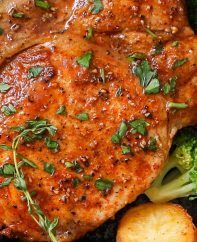 Teriyaki Chicken Meal Prep (20 minutes): Teriyaki Chicken Meal Prep is full of authentic teriyaki chicken flavor with no marinating required! Beef Lo Mein Meal Prep (20 minutes): Beef Lo Mein Meal Prep is one of the easiest and most favorful meal prep ideas with only 20 minutes of preparation. 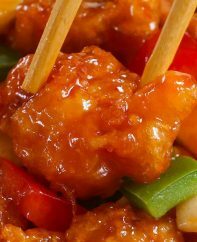 Sweet and Sour Chicken Meal Prep (30 minutes): Sweet and Sour Chicken features crispy chicken, bell peppers, onions and pineapple in a sweet and sour sauce. Brand and size: Buy the same brand and size of containers, so you don’t have to endlessly sort through mismatched lids and containers! Quantity: You want to buy a pack of at least 10 containers to have enough ready to be loaded up at any time. Material: Microwaveable, BPA-free plastic containers like these ones are the best lightweight option. If you prefer to avoid plastic, then glass containers like these ones are a good alternative. Step 1 – Prepare the noodles: Any wide rice noodle like this one will do. Simply follow the package directions, which usually involves soaking in water and draining. Step 2 – Fry the chicken and vegetables: Heat a large wok or skillet over medium heat. Add the oil followed by chicken pieces and saute for several minutes with a wooden spoon. 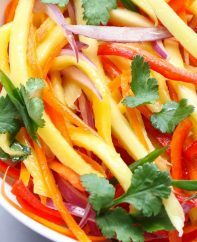 Add in the garlic, bell peppers and carrots and saute 2-3 minutes more. Step 3 – Scramble the eggs: Mix in the softened noodles, green onions, brown sugar, rice vinegar and fish sauce. Push everything aside to the edges of the pan, leaving space in the center. Add the beaten eggs and scramble using the wooden spoon. Then mix the scrambled eggs into the noodle mixture. Step 4 – Assemble and serve: Add in the bean spouts sauté for up to a minute according to your preference. Remove from heat and garnish with crushed peanuts, cilantro and fresh lime. You’re done! For the meal prep, you may wish to add the crushed peanuts, cilantro and lime on the day for maximum flavor. However, you can definitely do it ahead of time for simplicity. You can reheat pad thai meal prep in the microwave for 3-5 minutes depending on the power and container size. You can also freeze pad thai successfully as long as you don’t include the fresh cilantro and lime. 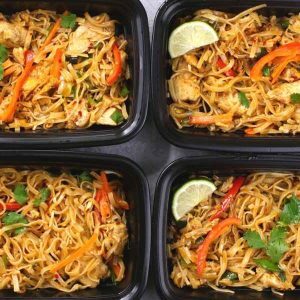 This Chicken Pad Thai Meal Prep is the best way to enjoy delicious pad thai on-the-go for work or school lunches. It's healthier, less expensive than restaurant food, and it's a time-saver too! Prepare rice noodles according to the instructions on the package. Set aside. Heat oil in a large non-stick wok or skillet over medium heat. Add chicken and sauté until slightly brown. Add bell pepper, carrots and garlic and sauté for 2 more minutes. Push the chicken mixture the edge of the pan and add the beaten eggs into the center. Scramble with the spoon until the eggs have cooked through. Add in bean sprouts and sauté for another minute, tossing everything together. Arrange in meal prep containers, topping each with crushed peanuts, cilantro and a wedge of lime. Enjoy! 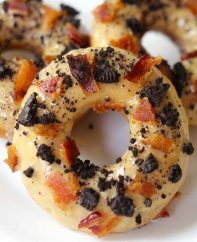 Add the toppings to the container on the day of consumption for maximum flavor. 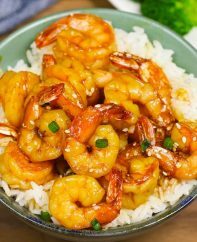 I’m allergic to seafood so can I replace the fish sauce with something or just omit it? Hi Kaseba, you can replace with soy sauce. 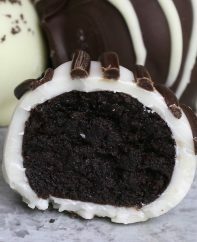 The flavor will be slightly different, but still delicious!